Are you ready to replace your current firebox with a more environmentally responsible unit? Bio Flame has created a firebox that will fit in standard sized 38 inch wide openings, so you can upgrade your fireplace to a bio-fueled fire. 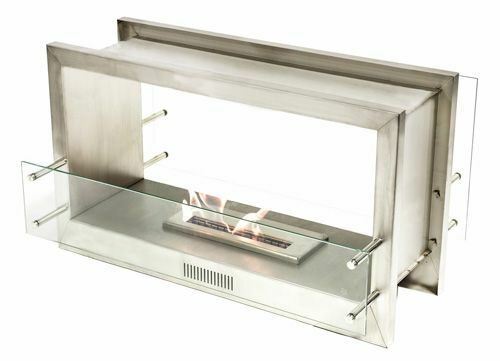 This firebox comes with a 16 inch burner that's protected by 8 mm of tempered glass.